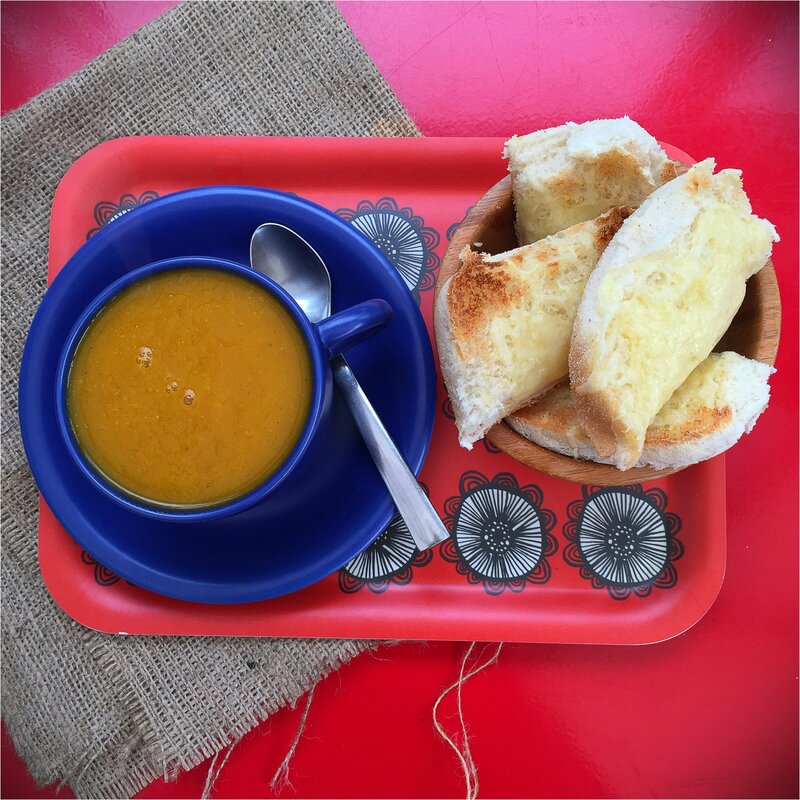 Now it’s finally autumn and there’s a definite nip in the air what better than to curl up on the sofa with a mug of warming root vegetable soup with a plate of toasted cheese muffins to dip into it. Take a saucepan, throw in a splash of oil, throw in chopped onion, celery, carrots, sweet potatoes and swede. Sprinkle with ground coriander sauté for a few minutes until starting to soften, top up with a pint of vegetable stock. Bubble it all together nicely for 20 minutes or so, blend, add cream if you fancy. Then serve. Yum!